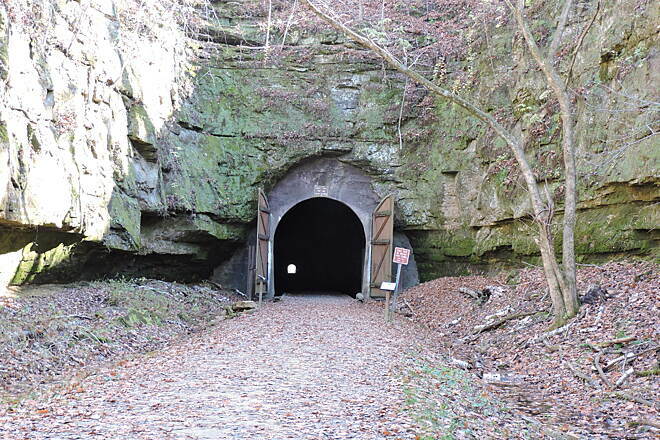 Those tunnels—two at 1,600 feet and the other at 3,800 feet—have long been a big draw for the trail, which opened in 1967. They are unlit, and water drips down the walls and pools at your feet. The temperature in the tunnels is a cool 50–60 degrees, regardless of the outside temperature. Work crews had to chip through solid rock in those shafts before the Chicago and North Western Railway could open a direct route between St. Paul and Chicago in 1873. In its prime, the route carried 6 passenger trains and 40–50 freight trains daily. 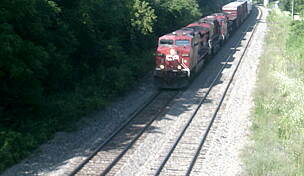 The railroad discontinued passenger service in 1953 and freight in 1964. 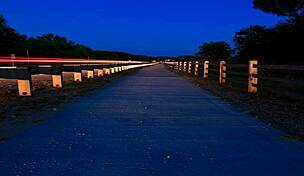 A state agency bought the right-of-way soon after and began developing the trail. 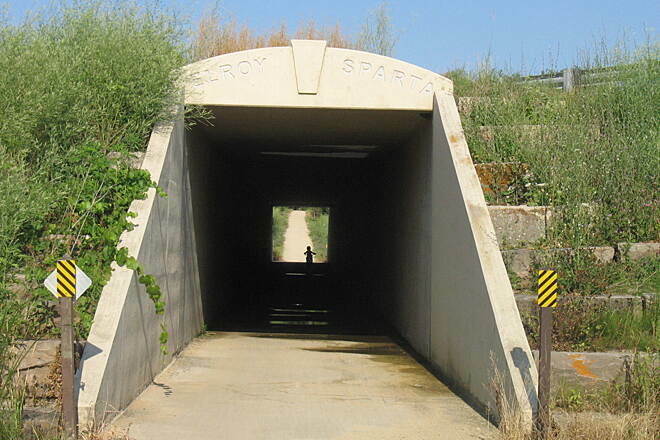 It’s a less strenuous trek between Sparta and Elroy because of those tunnels, although you’ll be climbing a grade to each one, followed by a downhill run to the town on the other side. The trail’s hard-packed crushed-limestone base is comfortable for walking and running, and it’s suitable for wider bicycle tires. Even so, bicyclists must dismount to pass through the tunnels. 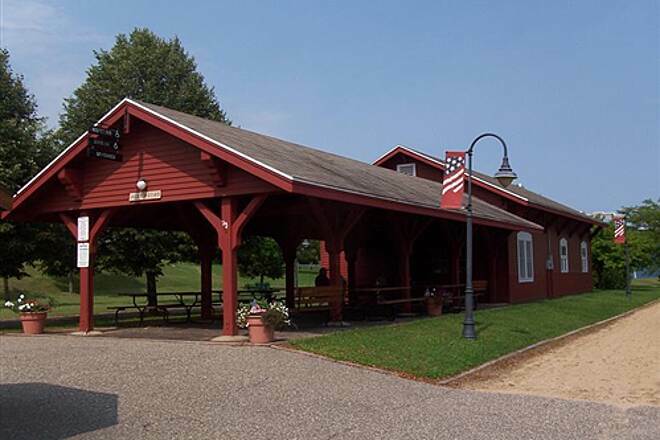 There are rest areas, restrooms, drinking fountains, camping areas, and snack concessions at the endpoint towns and in between at Norwalk, Wilton, and Kendall. 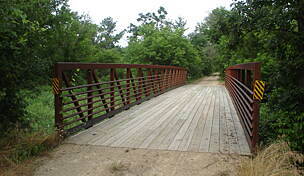 You can pick up the La Crosse River State Trail in Sparta or the 400 State Trail and Omaha Trail in Elroy. 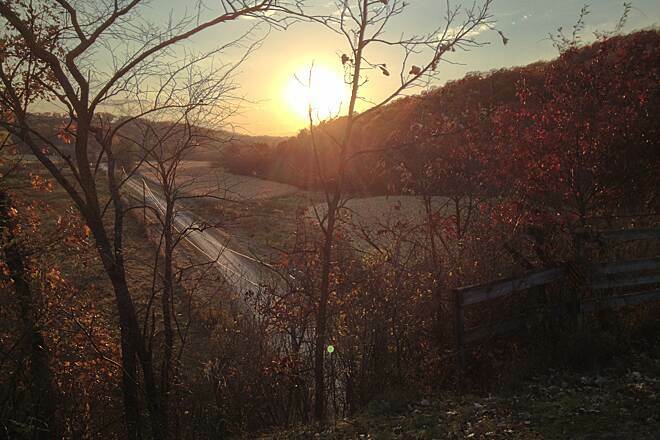 The trail is a middle leg of the Bike 4 Trails route that runs for 100 miles from the Mississippi River through Wisconsin’s rugged Driftless Area. 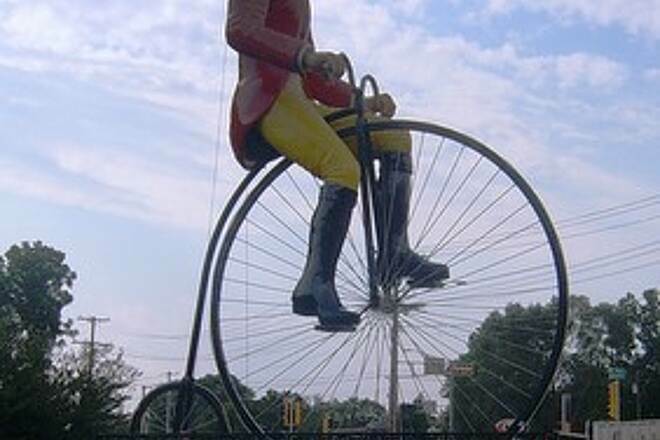 Beginning in Sparta at the trailhead tourist center, you might first want to check on “Ben Bikin’,” a large statue of a mustachioed 19th-century sportsman atop a Victorian-style “penny-farthing” high-wheel bicycle, about a half mile north on South Water Street. 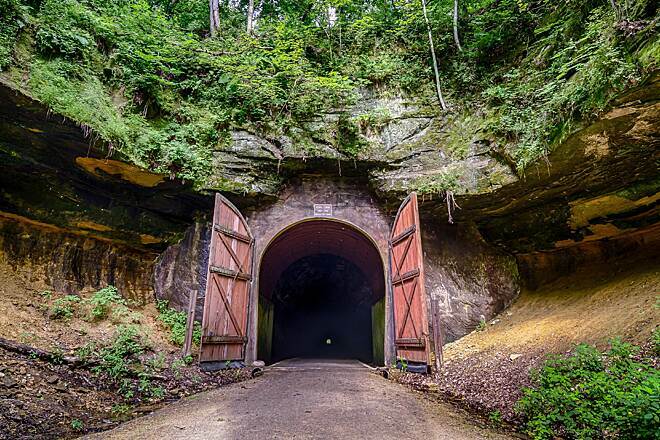 Returning to the trail, you’ll head east for 8.9 miles to the first and longest tunnel, Number 3, which is 3,810 feet long. 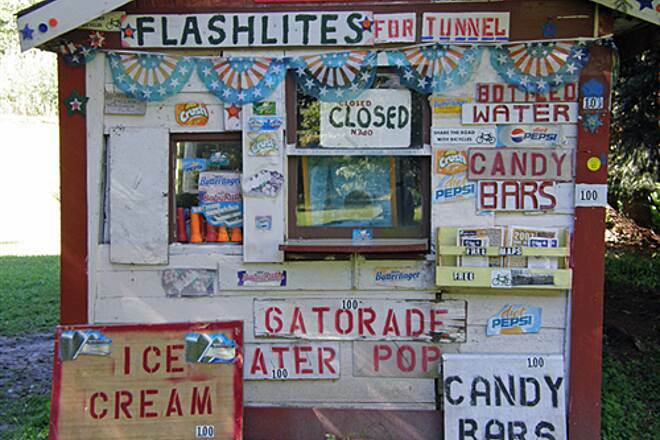 Seasonal kiosks at both ends sell flashlights among other goods. Just past the tunnel is the Summit Rest Area, where you’ll find a reconstructed watchman’s shack and, with a little searching, an 8-foot-deep stone flume to divert water away from the rails. Leaving the tunnel, it’s 3.2 miles through forest and farmland to the trailhead and services in Norwalk. 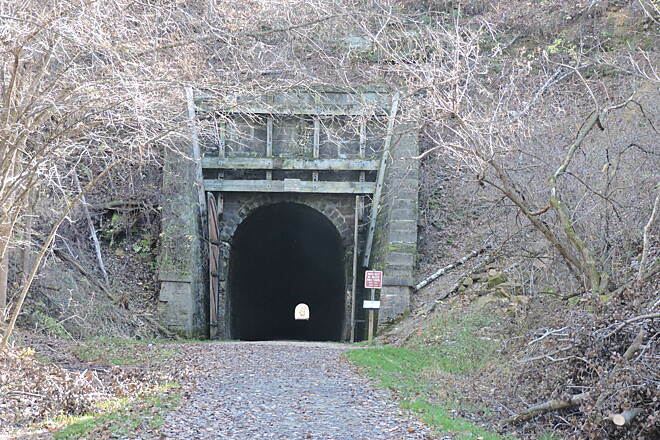 Another 3.2 miles takes you to Tunnel Number 2, which is 1,694 feet long. 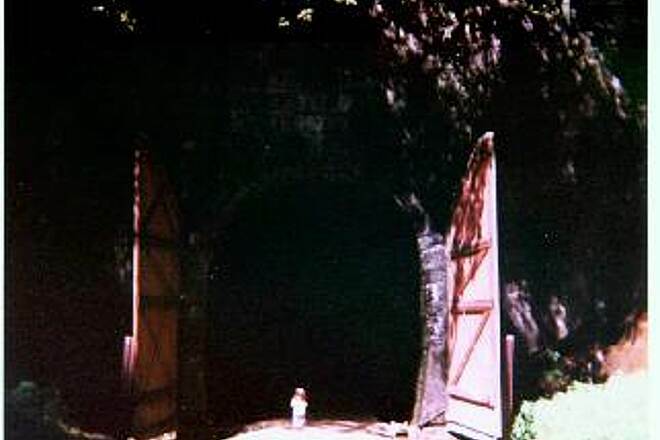 Like the others, this tunnel has 20-foot-tall double doors at the entrances that the watchmen opened and closed for passing trains to prevent winter temperatures from damaging walls inside the portals. These wooden doors are closed all winter now; snowmobilers take a detour around them. 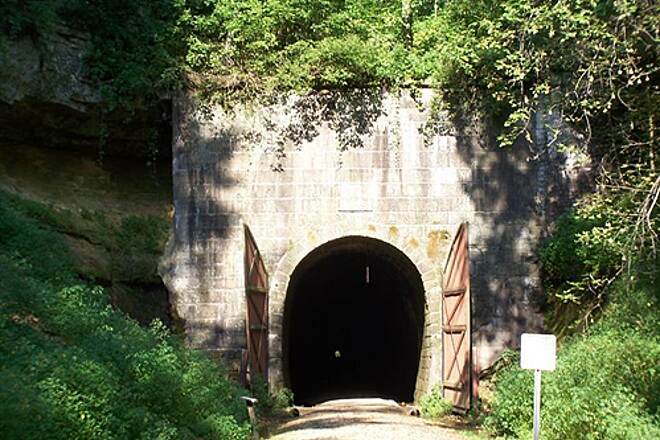 You’ll travel 2.2 miles to services in Wilton, and then another 5.4 miles to Tunnel Number 1, which is 1,649 feet long and the driest of the three. 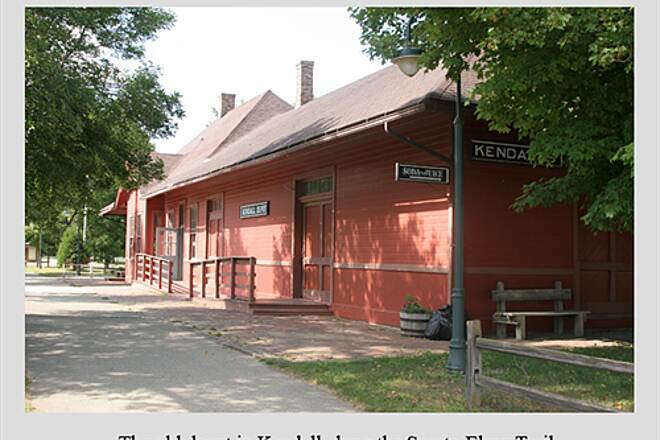 You’ll make a 3.3-mile downhill run to the trail headquarters in Kendall at a restored depot that also serves as a museum and bike rental. You also can contact the trail headquarters for shuttles between any points on the trail. 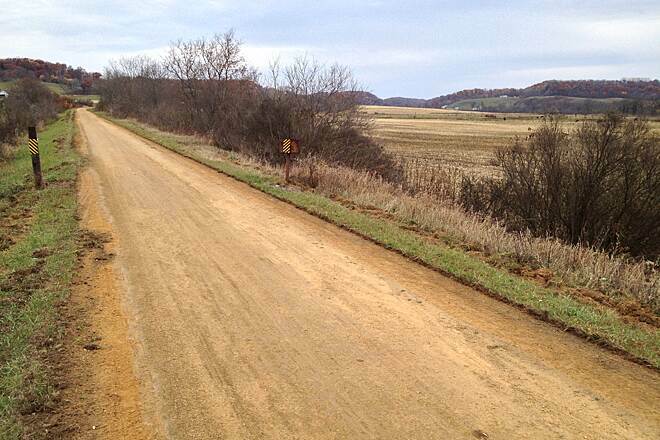 The last segment consists of 6 miles of mostly flat, open farm country to the end of the trail in Elroy. NOTE: A State Trail Pass ($25 annually/$5 daily) is required for bicyclists ages 16 and older. Snowmobilers must display either a Wisconsin registration or a snowmobile State Trail Pass. 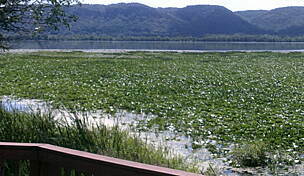 For information, go to dnr.wi.gov/topic/parks/trailpass¿.html. Camping is available in Elroy, Kendall, Sparta, and Wilton. To reach the western trailhead in Sparta from I-90, take Exit 28 toward Sparta onto SR 16, heading west. Go 2.3 miles, and turn left onto S. Water St. Go 0.5 mile, and turn left onto Milwaukee St. Turn immediately right into the trailhead parking lot. 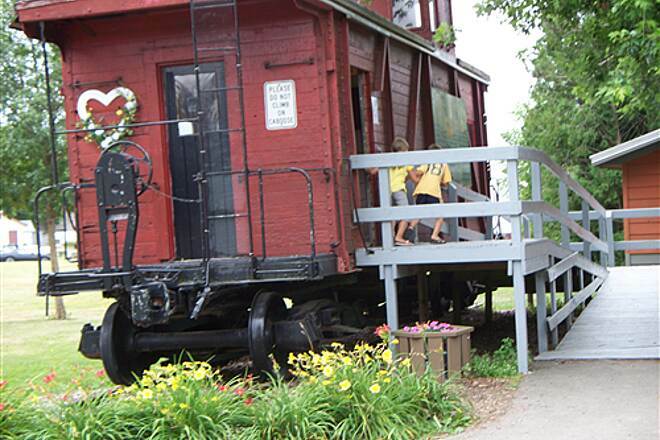 The trailhead is at the old railroad depot at 111 Milwaukee St.
To reach the southern trailhead in Elroy from I-90/94, take Exit 69 toward Mauston on SR 82/Gateway Ave., heading west. In 0.6 mile, bear left on SR 82/N. Union St. to head south across the Lemonweir River. In 0.2 mile, turn right on E. State St., go 0.3 mile (4 blocks), and turn left to head south on SR 82/Division St. In 0.6 mile, bear right around the traffic circle, and take the first right to continue east on WI 82/Grayside Ave. In 10.5 miles, turn left to continue south on SR 82. In 1.6 miles, turn left onto Franklin St. in Elroy. Take the first left into the parking lot, located behind the Elroy Commons Trail Shop on Railroad St. After you park, look for the 400 State Trail in front of the trail shop. Head north (left) on the trail about 0.2 mile to Cedar St., turn left, and look for the Elroy-Sparta State Trail, which heads northwest just north of where Cedar St. intersects Main St. I just spent the last 2 days riding this trail. We started out at the Kendall depot on Monday(it is closed on Monday and Tuesday) so I didn't get a chance to go inside. We rode 3 1/2 miles to the first tunnel. That was amazing to see as I rode towards it and started to feel the cool air coming from it. Very cool tunnel. After the 1st tunnel it was a pretty good downhill ride. I think it was about 8 1/2 miles to the next tunnel.Overall we turned around at the 12 mile point and went back to the car in Kendall. Coming back was tougher as it got hotter, and it was more uphill. I also got a leak in my back tire with 6-7 miles to go. I had to use my mini pump to fill it 3 different times to make it back. I changed the inner tube later that night at the hotel. After the ride we got in the car and drove to Sparta. We stayed at a nice hotel(Super 8) and had a great dinner at Slice of Chicago. We woke up and rode the Tail starting in Sparta. It was a gradual uphill ride for 9 miles to get to the 3rd tunnel. It was a long tunnel and yes it was dripping quite a bit. You get a little wet but not drenched at all. I had a great flashlight attached to my bike that worked great. We tuned around at the 11 mile mark and had a good downhill ride back to the Sparta depot. Right before tunnel 3 we stopped and talked to the older guy who sells ice cream and flashlights out of a small shack. What a friendly nice guy. Overall this trip worked out great with biking over two days. The trail, and the tunnels,and the countryside were beautiful. The only reason I gave this trail 4 stars was because it isn't paved. I had no problem with the trail surface except at some points it is a little narrow,but well compacted. It was about 2 1/2 hours from Milwaukee,and I will definitely be back to ride this some more. It was a really fun little trip. If you haven't been to this trail,you should make a trip out here. 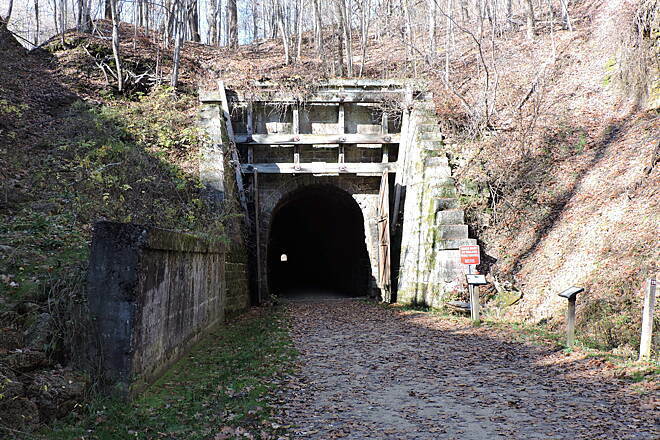 Biked from Sparta to Wilton and back (about 35 mi of biking, 2 miles of walking thru tunnels) last weekend. 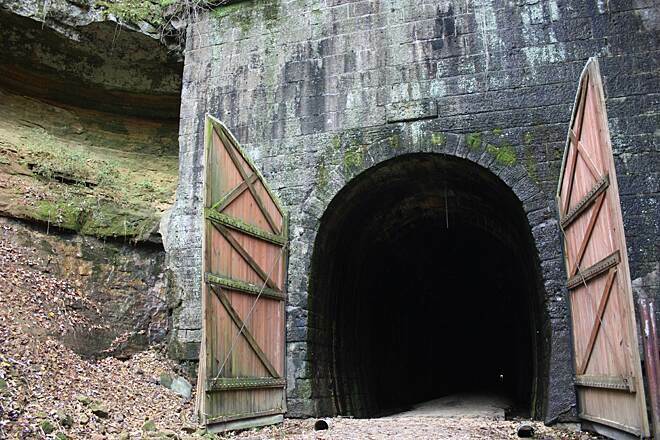 It's a nice route through mildly scenic wooded and farming areas, but the tunnels are definitely an interesting experience (don't forgot your flashlight--you'll need it to keep your footing since the tunnel floors are pitted and wet/muddy/slippery). While the trail's elevation changes aren't severe, there are long sections that are persistently up hill, so be prepared to pedal consistently for those. The only concern about the trail is the surface. The trail surface (packed gravel) was mostly in good shape but there are some soft/muddy and rutted spots. It definitely makes you work harder compared with a paved trail. But more bothersome was how narrow the trail is--for large distances it's being overgrown, leaving it at only about 4-5 feet wide, maybe less. I have to agree with other reviewers who have wondered what the trail fees are being used for if not to keep the surface in better shape. Frankly, I'm surprised it hasn't been paved by now. In summary, we're glad we biked the trail, but consider it a "been there, done that" experience given the surface conditions. We rode a 10 mile section between the Kendall station and just a bit past Wilton, WI. Just beautiful. There are plenty of good places to stop and good facilities along the way. The towns along the trail are proud of their affiliation with the trail. 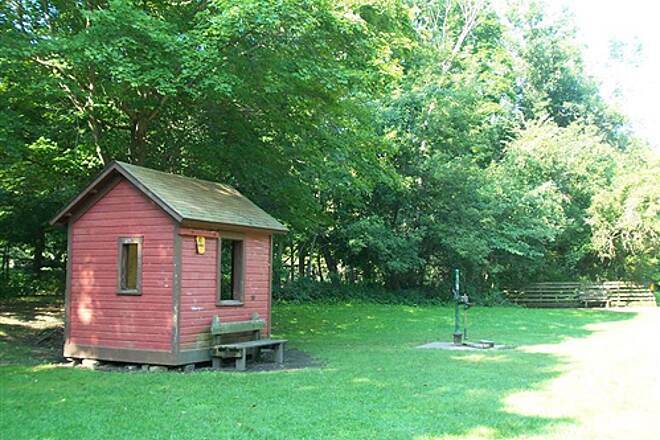 Wilton has a great stopover with picnic tables and clean facilities with plumbing. The condition of the trail was a bit disappointing. I'm glad we have mountain bikes because there were lots of ruts and much of the gravel has washed away. Granted Wisconsin had a wet spring but it doesn't appear the trail is well maintained. We had a great time riding this trail and going through the tunnels. I was amused by the signs at each tunnel stating: "Clothing and articles worn in other caves and mines are prohibited in the Elroy-Sparta State Trail tunnels." I do understand the concern, but I think the sign could have been worded better (i.e. "clothing and articles that have been worn"). It sounded to me like "people wear clothes in other caves and tunnels, but not here! We stayed at the Tunnel Trail Campground over July 4th and rode a few shorter sections at a time over several days. The trail was smooth and I don't remember any sandy or rutted out spots. The tunnels tended to be at the high points on the trail, so the return trip was a nice downhill ride. Overall everyone in our group enjoyed the trail. This was my 5th trail on my bike trip between Mankato to Wisconsin Dells. If you use this trail from Elroy to Sparta, it is good. But if you start from Sparta to Elroy, It would be hard for you. Because the surface is little bit slightly up and you have to pedal during 80% of the trail. Hence the reason, you can`t enoy the nature. You always struggle with your pedal and breath. Plus not recommended at rainy weather. It is already gravel surface and you dont want to ride on soft clay. It gives you extra trouble. Still worth to see just the sake for tunnels. Btw Tunnel 3 surface needs to be fixed. It has been eroded by water leaking from ceiling. Went on a 2-day ride the first weekend in October. Started in Wilton and went east to Sparta on Saturday (about 40 miles) and west to Elroy on Sunday (about 30 miles). The 3 tunnels are really cool. The grades are not steep. It's a great trail for casual or beginner riders!! Already looking forward to riding it again next year!! I first rode this trail around 1990 and have been back at least 3 times since then, more or less evenly spaced over the last 25 years. 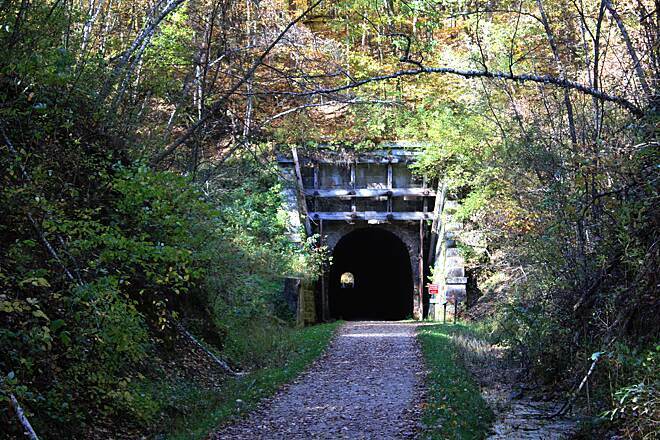 In my opinion, the granddaddy of all rail-trails is still worthy of "bucket list" status. I was surprised to read the strong negative opinions about trail maintenance posted here. Unless my memory is failing, the condition of the trail has not changed a great deal over that period, but neither does it live up to current standards in trail construction. Rather than deteriorating much, time has overtaken it. I rode west-to-east from the depot in Sparta to the Elroy Commons, and met my ride there. This adds a little on each end of the official trail, making an even 34 miles. Hypothetically I had a 194' elevation gain going that way, but you go uphill to each tunnel and downhill afterward, and prevailing winds are usually from the west. The trail from Elroy to Kendall is flat, level, and has the newest surface. The remainder west to Sparta is more hard-packed dirt than stone, with small but manageable bumps and ruts, and a very few bigger ruts to watch out for. Par for the course when you ride stone trails. It was dry when I rode, so I don't know if the trail becomes slippery in a rainshower. Regardless of the weather you will get wet in the tunnels, although they are not particularly cold. The first one traveling east is the longest and wettest. And the suggestion to bring a light is best heeded. Walking straight down the middle of the trail without one in the two shorter tunnels is just barely possible if you look carefully at each wall (I tried it), but in the long tunnel there's no way to stay centered without help. If you lose your way and drift too close to a wall, you or your bike will fall into the gutter where water drains out of the tunnel. Riding through the tunnels with a bright light is possible, but I wouldn't risk running into the back of someone walking without a light. Been there, almost done that on another trail years ago. Scenery is typical Wisconsin rolling farmland, which is nice but the tunnels are the main attraction. There are stops in communities along the way; the young woman at the Kendall depot was very friendly; they sell snacks & T-shirts along with trail passes. 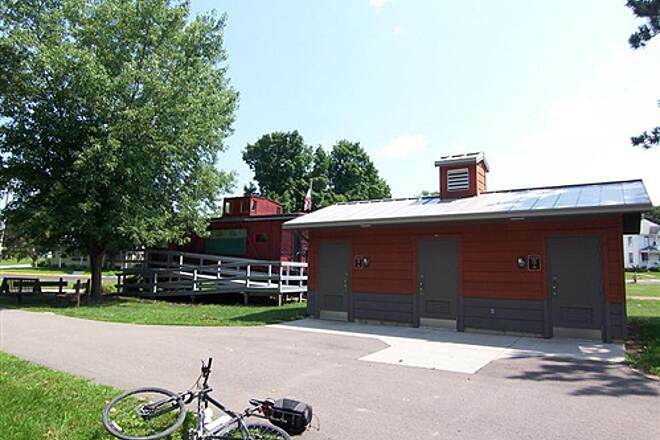 Sparta depot was open when I started my ride, and Elroy Commons has not only the concession sales, but also showers. It's a great amenity if you park there on a hot summer day and have a long drive to your next destination. $5 to ride an historic trail is not bad, and it seems more worthwhile than paying that much in tolls to drive around Chicago or on the Turnpike to access one of the very nice "free" Pennsylvania rail trails. 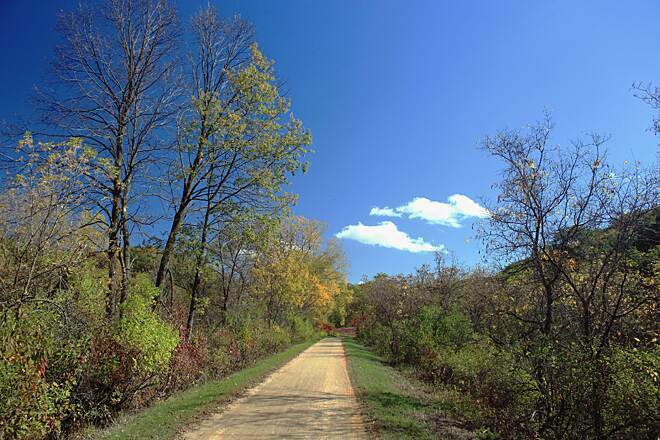 And you can fill out your weekend with a ride on one of Minnesota's paved and mostly free trails! As several other comments have noted, the trail is really getting to be in rough shape. It's apparent that nothing has been done to keep up the surface. It's getting overgrown, and rutted. Why Wisconsin requires everyone to pay $5 to ride it, and spends nothing on maintenance is beyond me. These trails are a gem, but are being left to deteriorate by the state. Shameful. First the good. The facilities provided by the local towns along the trail are the best I've seen on a trail. Clean restrooms with flush toilets. 2. Scenic ride and really neat rail stations. Now the not so good. Trail maintenance is lacking, rough and wash outs along with the farm equipment crossings that really rut the trail. 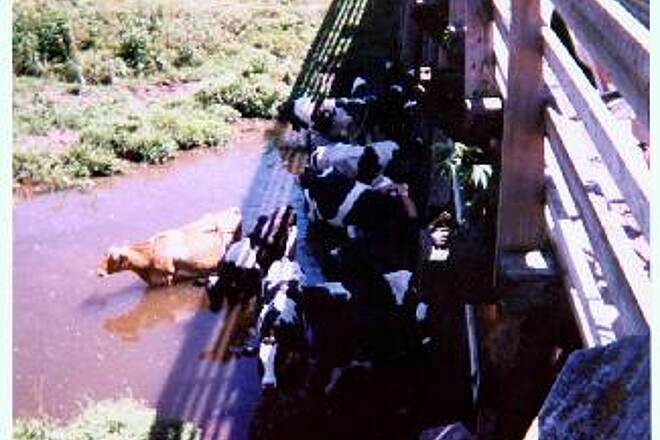 Bridge crossing are also very rough. Trail is narrowing from lack of trail side maintenance. We are from PA and could not wait to ride this trail. But were disappointed especially since we had to pay $5 each every day, to ride all trails in WI! Our trails in PA are FREE and are better maintained than these "pay to ride" trails! Where is that money going? It obviously is not going into trail maintenance! Also as a note to novice bikers this trail has about 7 miles of flat riding, the rest is going up grade @ 3% or down and before each tunnel they are long up hill ascents. Not great for those that are not Lance Armstrong type riders. one of the best rides Ive taken, went on a very hot weekend. the tunnels were a blast of cold which I needed, never seen dark so dark - couldn't see me hand in front of my face without a flashlight. at one point couldn't see the exit or entrance, only black. water dripped down the walls. quite eerie. Rode this at the end of June. Trail was packed quite good . We rode from Sparta to Wilton and the surface was good except for a large sand trap just outside of Norwalk. Trail has not been maintained in a long time . Rode to Sparta and back from Wilton on 6/20/16 in the late afternoon. Rode from Wilton to Elroy and back on 6/21/16 in the morning. Love this trail. The diverse beauty is breathtaking and the tunnels are such fun. I must agree with the previous review. The trail is really rough and narrow in spots with terrible ruts. 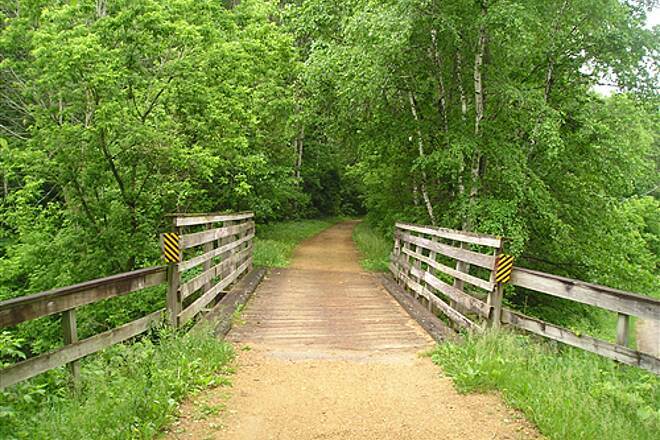 This path is such a gift to and from the people of Wisconsin and maintenance is critical! 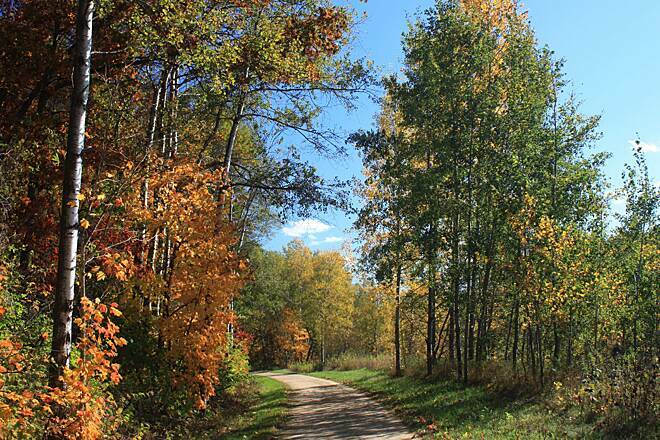 Maintenance needed to restore this great trail! I’ve been riding the Elroy-Sparta Trail for more than 20 years. It’s got great scenery and the tunnels make it especially interesting. But I regret to say from my last ride there (May 30, 2016), it seems to be suffering from inadequate maintenance. The crushed-stone trail is getting narrower as grasses alongside slowly work their way in. There are spots where it would be literally difficult to pass two bikes through at the same time. I was surprised, too, that those grasses didn’t look like they’d been mowed yet this year, and it was Memorial Day weekend, a time that you’d think they’d want things looking top-notch for visitors. The worst part, though, were the farm crossings (the crossings allow rural property owners access to land they own on both sides of the trail), especially between Kendall and Norwalk. These were very badly rutted (perpendicular to the bike route, of course), and there seemed to be little effort to re-grade them. I’m amazed I didn’t break a spoke. I ride a Trek 520 touring bike, with 700x38 tires. Based on the conditions I saw, I wouldn’t recommend the trail for bikes without suspension, or less than 26x2 tires. Perhaps the trail will get better as the season goes on. It has been better in the past. I hope it doesn’t degrade into a crushed stone single-track suitable only for mountain bikes. I rode from Sparta to Elroy on Saturday, May 28. Despite an inauspicious start and delay at Sparta in a driving rain, the clouds soon parted and the weather was perfect--beautiful cumulus clouds, blue skies, green hills and pastures, and some of the prettiest farm land you will ever see. 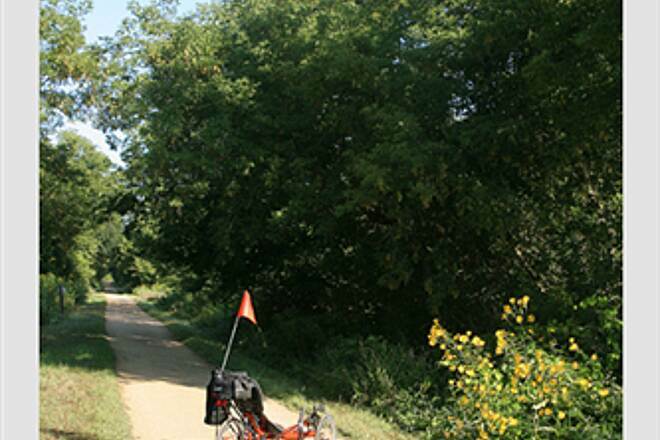 I have ridden the entire Katy Trail and would say they are somewhat comparable. The E-S is somewhat hillier (though not bad at all), probably a bit more foliage along the right of way, and the surfaces (crushed rock) are similar. I would say the E-S is a bit narrower overall so you have to watch for oncoming bikers and kids a bit more. Almost no root bumps, though some rough spots here and there where people on horseback have ridden (not supposed to) and the horse's shoes tend to roughen the surface. Even though it had rained a lot, the trail seems to dry out quickly and wasn't muddy or soft at all. The tunnels are fun, though #3, at 3810 feet, became a bit tedious. They aren't kidding when they say it's pitch black. You or someone you know had better bring along a good flashlight or headlamp. The picnic area at the east end of Tunnel #3 is really nice. Tunnels #2 and #1 are much shorter and nice--better footing, less dripping water. Though not right on the trail, highly recommend Justin Trails Resort as a place to stay--a few miles south of Sparta--former dairy farm, great owners. Also Speed's Bikes in Sparta for rental, last minute gear. 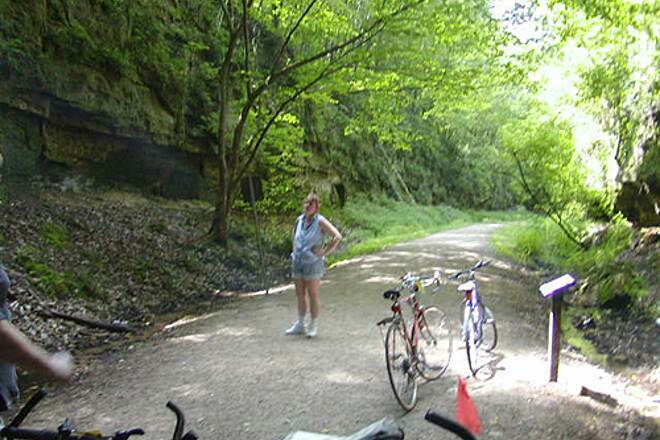 All in all, one of the crown jewels of US rail to trails--would rate it right up there with the Katy and another favorite, The Little Miami near Cincinnati. The winter trail groomers do an excellent job of grooming primarily for snowmobiling in winter- which also makes for some great cross country (primarily skate style) skiing. This is a multi-use trail after all, but wear bright clothing to alert snowmobiles and remain alert- it's best to ski in early morning when few snowmobiles are out enjoying the trail. Rode this and the other three connected trails in mid-October. Not a great year for fall colors due to weird weather this fall, but it was still very pretty and almost no other cyclists. Most of the other cyclists we saw were at the three tunnels. 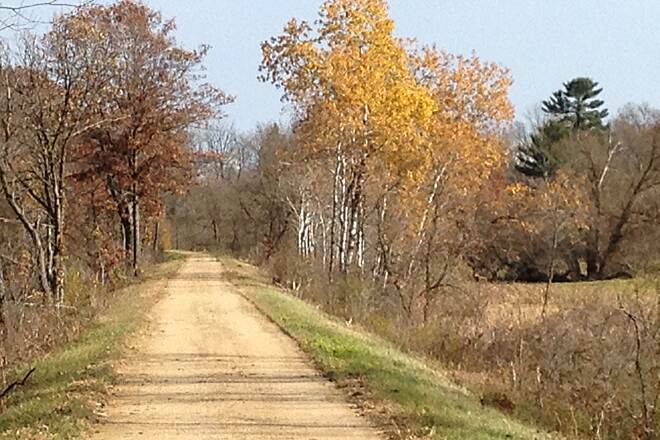 October is a great time to ride this trail. We took the Boy Scout Troop for our annual bike outing on this trail. The tunnels are always one of the focal points for the kids and since it was one of the hottest days of the year the lower temperature in the tunnel were appreciated! There is a small underpass on the trail between tunnel 2 and 3 that has loose gravel on the downhill approach (from tunnel 2 to 3) that you need to be aware of if you have a bunch of bikers close together. I rode the Elroy Sparta trail again this week. The trail was in good shape and the tunnels are awesome. This was 32 miles of a 71 mile ride so I only rode one way this time, Elroy to Sparta. The trip was enjoyable and the path was well taken care of. What shocked me the most was the lack of people on the trail - the whole way. I did not see another biker on the trail. I did hit it early but I was still shocked at the lack of use this (and the other paths) get. Is it worth riding - definitely. Is it challenging - definitely not. The path is well packed and you can ride a road bike on it, but I suggest a larger tire bike to enjoy it better. It is still dirt path that can get muddy or have some debris on it. My 29er was bit overkill for the terrain but comfortable. I will keep coming back due to the other 5 trails in the area which makes a good several days of riding. Great ride the tunnels are fantastic!! 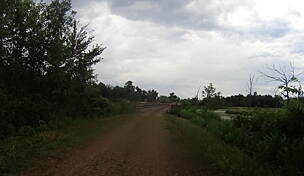 Road this trail with a couple of friends from Missouri in Sept 2014. Trail was in good shape. Fall color was emerging which was beautiful. 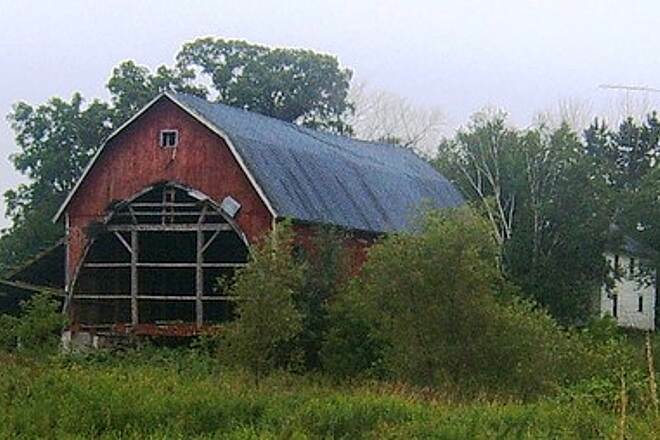 The trail runs through wooded areas and rolling farm country. Very Nice. 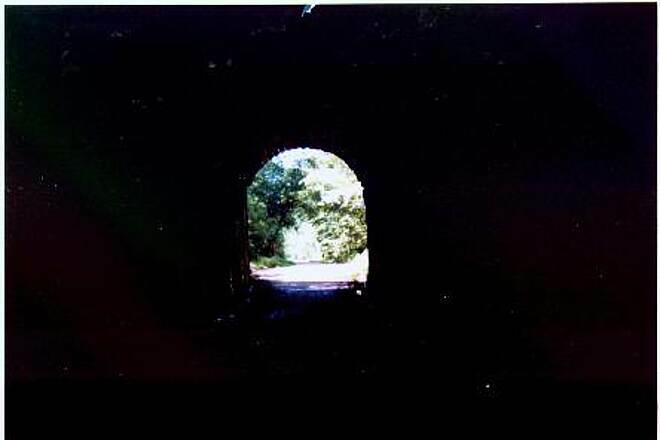 The tunnels are the highlight of the trail. Tunnel #3 which is the first one you come to out of Sparta, is like going through a cave. Without a flash light it is impassable! I zip-tied a small but bight,250 lumen, light to my helmet which worked very well in all the tunnels. It is 67 miles round trip form Sparta to Elroy which is a bit of a challenge but all in all a good ride was had by all. We stayed at the Country Inn in Sparta which we found to be a good place to serve as our " base of operations". 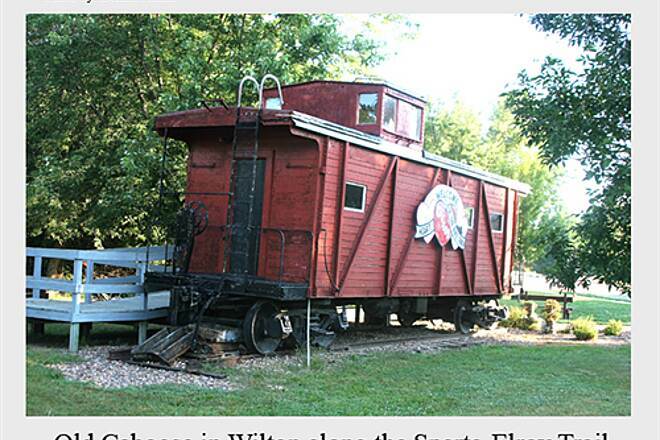 It is only about 1/2 mile from the Sparta trail-head/depot. Arrived in Sparta this past Monday evening with plans to ride the trail the following day. Made the scouting trip to the depot to get information, the woman there being very friendly and helpful. After considering my options, I headed to Speed's Bike Shop, and booked a shuttle to Elroy for Tuesday morning. The bike shop is directly on the trail, and though it is not very modern, the mechanic who took my information was very courteous, and they do have some nice antique bikes on display. Arrived the following morning, and loaded the bikes onto a rack on the back of a van and headed off towards Elroy. While passing through some of the towns the van driver pointed out various spots along the trail where food was available. A previous reviewer mentions that the rest rooms just up the trail are 'closed for the season'. That is true. 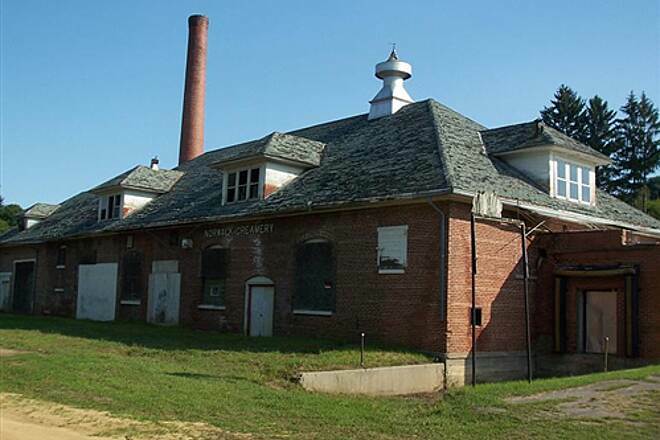 But the depot in Elroy has showers and restrooms that are open. I do not know if the humidity and rainfall have been high in this part of Wisconsin, so I do not know if this is just seasonal or not, but the trail has a fair amount of moss growing on it. In particular the center portion of the trail. Much of the moss is on parts of the trail that do not have a sufficient layer of crushed stone on it, which sadly is the majority of the 32 miles. The trail is canopied by trees for much of the route, so it should be nice in hot weather. 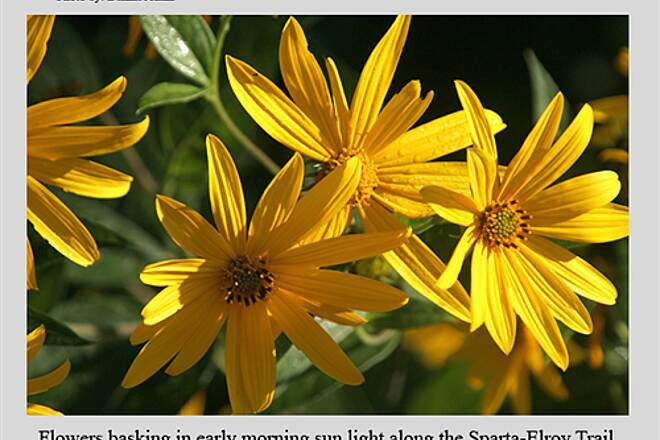 In autumn, it is probably exploding with color. The farms along the way are picture-postcard worthy, especially now with the corn at it's full height, and completely green. The tunnels are indeed the highlights of the trail. When you noticed an incline in the trail you will know that you will be heading into a tunnel just a bit of the way up the trail. The surface in Tunnel #2 was the best of the three, and also the only tunnel that I noticed any bats. Headlights are a key. Since there was very little bike traffic on the trail, I felt it was ok to ride through the tunnels, at a slow rate of course. 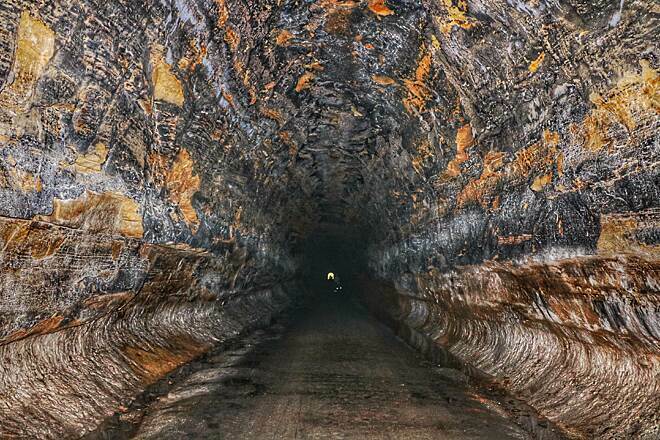 Tunnel #3 is the longest, wettest, darkest, and most in need of surface repair. 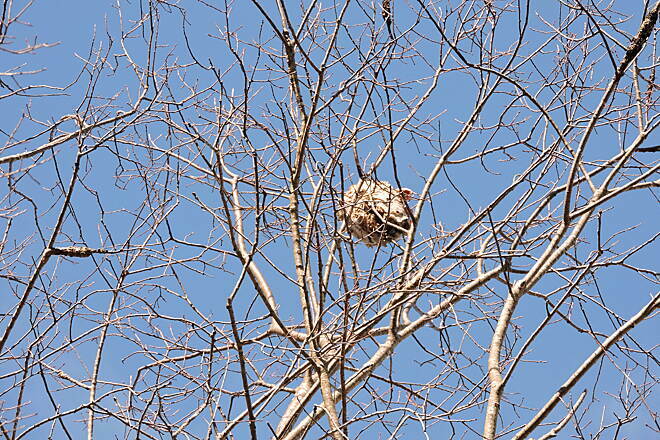 I was disappointed that other trail users did not discard some of the larger branches from the trail. It only takes a few seconds to stop and toss them to the side. You may be saving someone from a fall or a mechanical problem. Just before reaching Sparta, the trail crossed over Interstate 90, and that lovely bridge, with it's lovely pavement is wonderful. I would rate the trail a 4 if it was better maintained, and a 5 if it were paved. All in all, it's worth the trip, but once is enough for me. We did this trail three years ago and it was one of the best trails we have done in our cycling life. The tunnels were amazing to go through and learn the history around them. I am so thankful they were saved for people like us to enjoy!! Not the oldest in the state. 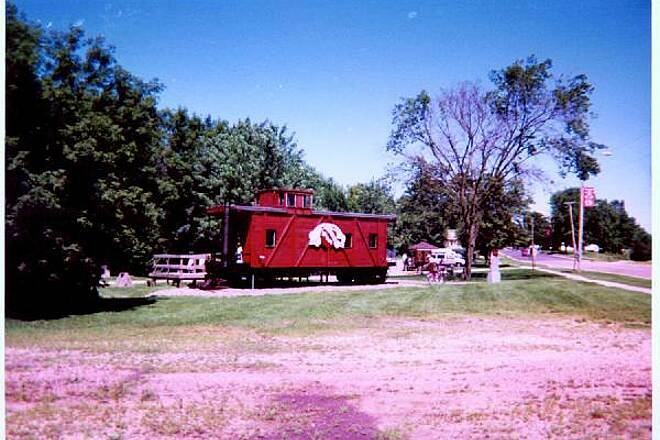 The Elroy-Sparta Trail is not the oldest in the State of Wisconsin only, it is the oldest in North America. 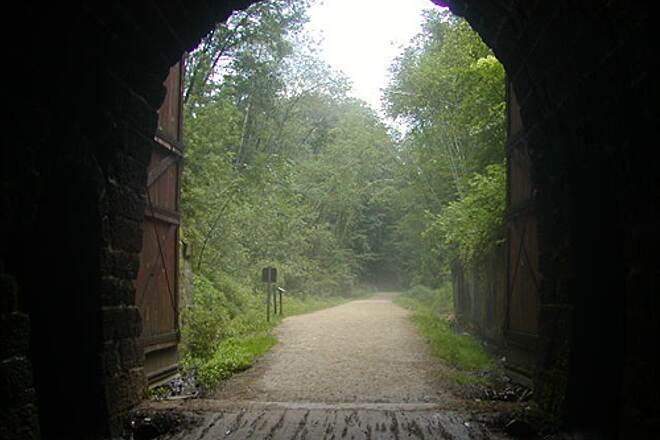 Established and opened in 1965 it is America's First Rails to Trails project. 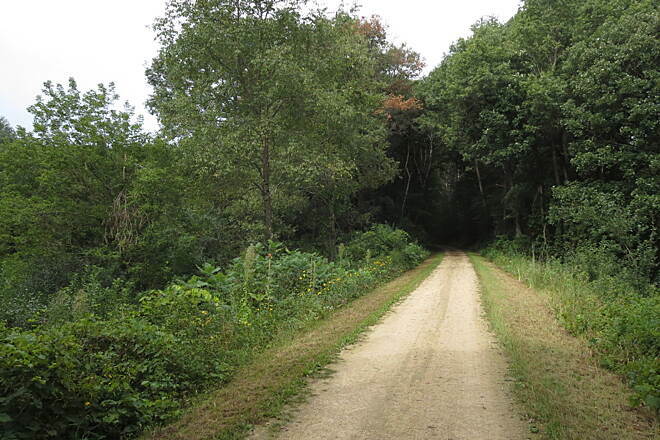 While their was some contention between us and a trail in Illinois, historical documents have shown from the State of Wisconsin that the Department of Natural Resources had actually purchased the land, and had the trail open in 1965. While others may have had the idea first we are the first to do this. So come visit us on the "Grandaddy of them all" with it's three tunnels and majestic scenery of the Wisconsin Driftless region. 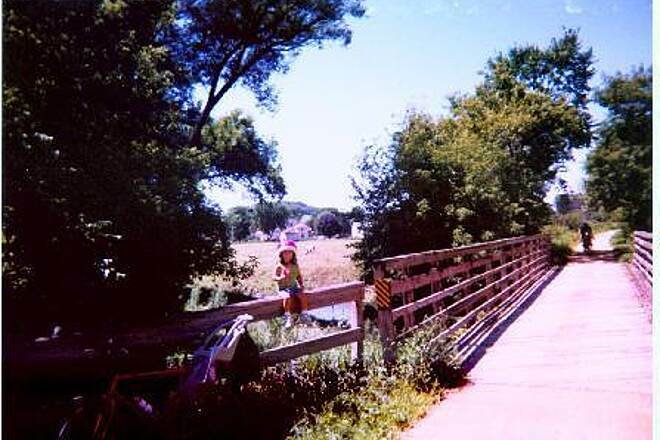 In late July, I did the Elroy-Sparta bike trail with my niece. We arrived on Friday evening and left on Sunday. It was great! I kind of expected the tunnels to be no big deal, but instead they were a real highlight. The trail rises gradually and the temperature drops noticeably before you enter a tunnel. Several of the tunnels were pitch black, in fact, and we couldn't see the light at the other end because of fog (very interesting sensation). Norwalk and Kendell were particularly nice stops. If short on time I would start at Kendall and head toward Sparta and skip Elroy altogether. The trail just sort of ended and even though it was the height of the summer, the bathrooms near Elroy were "closed for the season" and there was no water available either. Aside from this small disappointment, the Elroy-Sparta trail covered some really beautiful terrain, gradual inclines and declines and very few mosquitoes. I would definitely do it again! I have enjoyed many rides on this trail being fortunate to live near by. I like to start at the campground, which has more parking,toilets and water. Just take a left by the big bike and keep going to John st. as if you are going to Speed's bike shop (parking is available there, too and they do emergency bike repairs as well), the campground parking lot is about 1/2 mile up the road on the left. 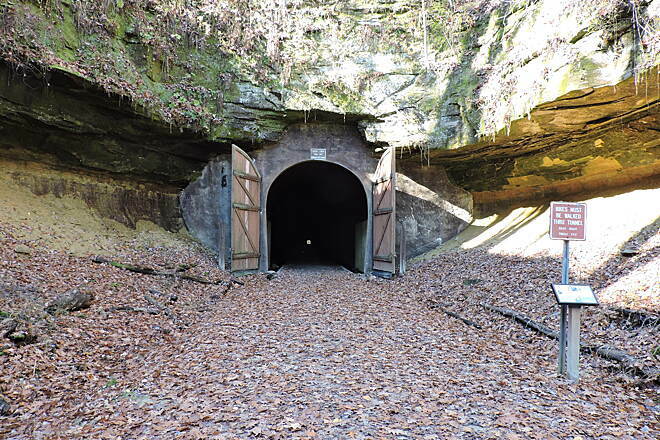 It is about 7 miles to tunnel #3, which is dark and dripping inside so bring a flashlight and maybe a light jacket or shirt as it is very cool in there (3/4 mile walk thru the tunnel). Just before there is a home along the trail where snacks and flashlights can be purchased. Seldom can you see the end and I am not kidding about it being dark. I have walked through a few times without a light it is like being blind. Quite refreshing as the last 4 miles before the tunnel are an easy uphill. Just past the tunnel are toilets and a pump. 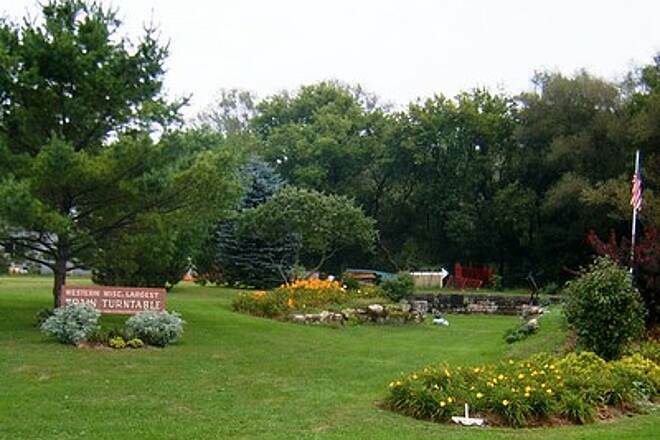 We then ride to Norwalk and picnic in the park, which has facilities and camping. 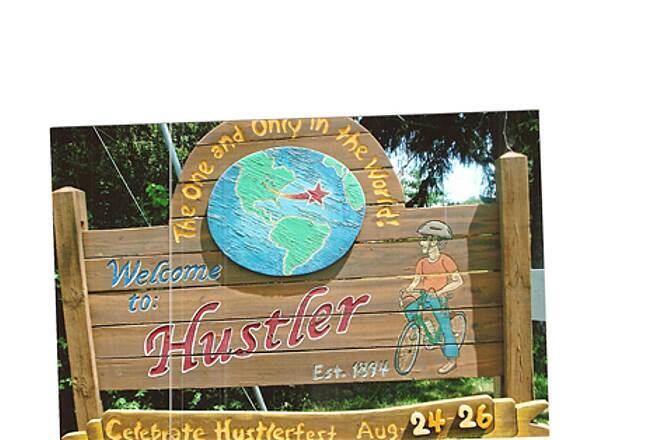 Round trip is 26 miles, sometimes we ride to Kendall, but the most scenic part is described above. A good ride with lots of shade, although they logged quite a bit and easy enough to be a fun family trip. I have been wanting to ride the Elroy Sparta trail for years and final made the trip on a beautiful October day last weekend. It was everything I thought it would be and more. The tunnels are a one of a kind experience and the scenery with its rolling hills and valleys with the fall colors were the icing on the cake. Each town along the way brings it's own unique flare to the overall experience. You don't have to worry about your riding ability as there were people that ranged from avid riders to weekend cruisers enjoying the perfect fall day outdoors. All riders were respectful of one another and shared the trail nicely. Make sure to bring a flashlight for the tunnels. There are plenty of places to stop along the trail to relax and many rest rooms and places to refill your water bottles or to buy a soda along the way. The history of the trail was the main draw for me and I wasn't disappointed. You can take a shuttle with Speeds Bike shop and start at any point from Elroy or one of the towns in between. If you prefer you can start in Sparta and have the shuttle pick you up at any point if you don't want to make the entire 32 miles trip. There are other shuttle options too as there are drivers that will take you to your starting point in your vehicle and then return your vehicle to the Sparta Depot where it will be waiting for you when you return so you can go at your own pace and don't have to worry about the time. You can set your own pace. 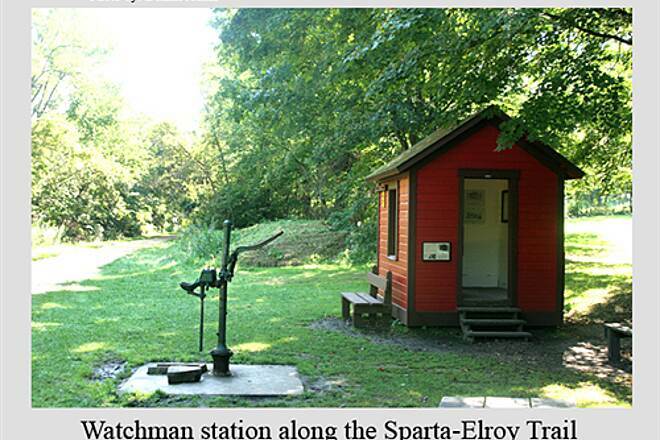 Put it on your bucket list and make your plans to enjoy an awesome experience on the Elroy Sparta Trail. I will definitely be back to ride it again in the future. What sets this trail apart from others in the area is its extreme uniqueness. 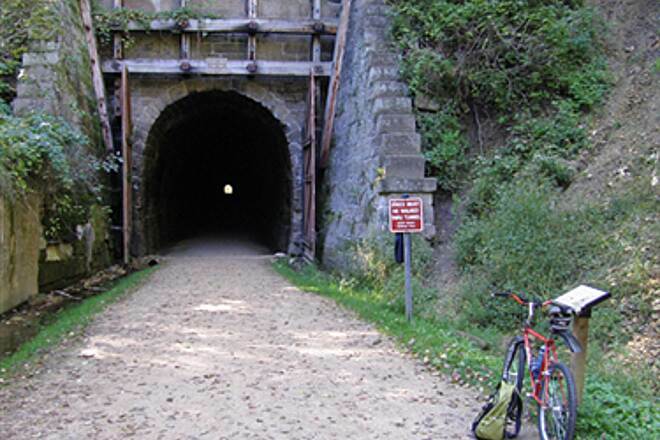 Whether it's the famed 3 tunnels or the quaint villages, this trail is a must ride. The trail isn't too challenging, however if you bike start to finish and then back to the starting point (64 miles total) the slight 3% grade can be a challenge. Last but not least, all bikers were polite and followed the rules of the trail. This trail was fantastic, the Park trail rangers were very informative and knowledgeable about the trail and its history which made it more enjoyable. I highly recommend it anyone. What a fabulous biking trail! The gentle grade gave us a little challenge on the bikes but didn't wear us out and it was a nice relief to coast down hill as well. 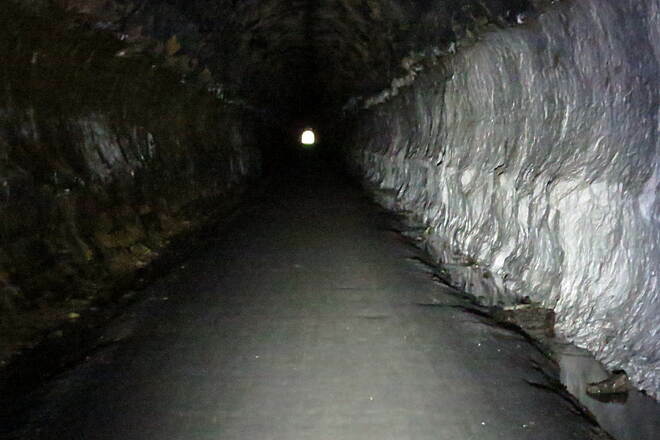 At first I was surprised that we had to walk our bikes through the tunnels, but after getting inside could 'see' why. The longest tunnel had small ditches filled with water on each side. At times I almost veered off the path and into the water because I pointed my flashlight in the wrong direction. There was a lot of water coming down inside the tunnel and we got pretty wet, but dried off quickly when we started riding again. We came across some people going the opposite way who weren't using lights inside the tunnel and we almost ran into them. No bats that we could see or hear in any of the tunnels. Since reading the previous posts on the trail, I was hesitant to try it out. But I did and the trail is all cleared up. Only made it to the first tunnel, I had no flashlight, so now I will get one for my bike (first season out for me) so I can go through next time. Enjoy the trail, very shaded and pleasant. this is what happens when snowmobilers use the trails. it is so sad. I hope they make the snowmobile club pay to restore this trail and fix the damage they caused. What a shame. First run on the trail, March 16, 2012. The Sparta-Elroy Trail was one of those hidden trail gems of Wisconsin where you could escape the mid-day heat in the Summer and enjoy the changing colors of the trees as Summer turned from Fall to Winter. I have hiked, run and ridden my bike on that trail 3 to 4 days out of every week, Spring Summer, and Fall for many years. The trees lining the trail provided a lush canopy, at least for much of the 26 miles from Sparta to the Tunnel #1. That tree-lined trail provided a welcome escape from the rush and noise of everyday life. I'm sorry to report that the canopy of trees I have so much enjoyed is now gone. For much of its length, the trees have been destroyed. They have been pushed down or snapped into pieces. Limbs have been ripped from tree trunks. The carnage is lined up as a slash pile on both sides of the trail for miles upon miles. The trail itself is now wash-boarded and rutted in places by the treads and tires of the construction machinery used. This is not a mere thinning of the canopy or a little clearing to control the understory. This is a wanton and uncontrolled destruction. As CCC has already said, it is as if a tornado went down the middle of the trail. They have turned a trail into a road - an ugly road - which really is not surprising since it has been reported that a snowmobile club did the work. It is ugly and disheartening. The people that did this, the people that allowed this to happen, have no respect for the trails in Wisconsin or the people that use them. 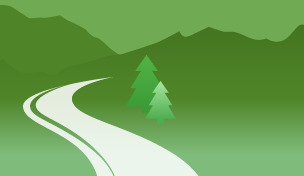 This is a heads-up to all hikers and bikers starting with the 2012 season. If you are someone who enjoys pleasant scenery while you hike and bike, you may want to change any trip plans you had for this trail. This past late fall, while hiking one of my favorite stretches north from Norwalk up to the tunnel, I was shocked at the devastation wreaked on the once-beautiful trees that lines the sides of the trail. The trees were horribly butchered, push over, scarred my machinery, limbs yanked from the tree trunks and left hanging in the air, the bark on the still-standing trees ripped and scarred, creating easy entry for all manner of insect and fungal invasions this coming spring and summer. I contacted the DNR Manager to voice my shock and dismay over their wanton wreckage during "trimming and brushing" operations. I was told that since the DNR did not have the funds or staff to do the maintenance itself, it authorized a local snowmobile club, which DID have money, time and machinery, to do the work for the DNR. To what standards they were held, I would guess none. The Trail Manager told me that after they had read my complaining e-mail, they personally went out and witnessed the carnage themselves, and concurred with my assessment, which is that it looks like a tornado went right down the middle of the trail. From what I have since determined, both on foot and from viewing the trail from the highway, this devastation has occurred, at least, from Sparta down to Keystone Road, about two miles east of Wilton. If biking or hiking through an area that looks like it was located in the tropics after a slash and burn operation (without the burn, just the slash) appeals to you, than feel free to plan any trips you had in mind to the Trail. However, if you are like me and enjoy the aesthetics of nature, than what you will see will bring tears to your eyes. We had read earlier reviews of this trail. 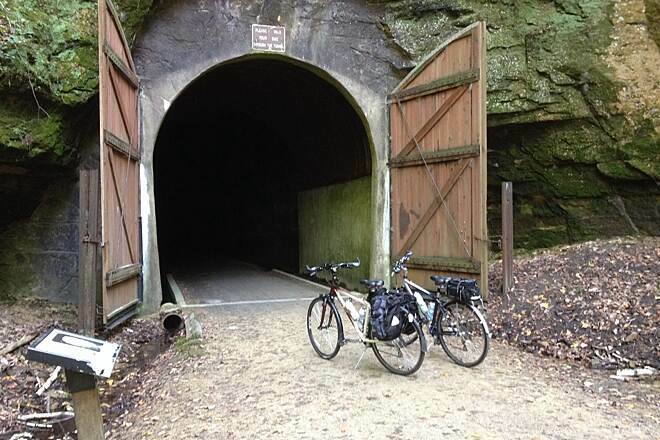 While visiting WI we decided that the opportunity to explore train tunnels on a trail ride was too good to pass up. The trail did not disappoint. 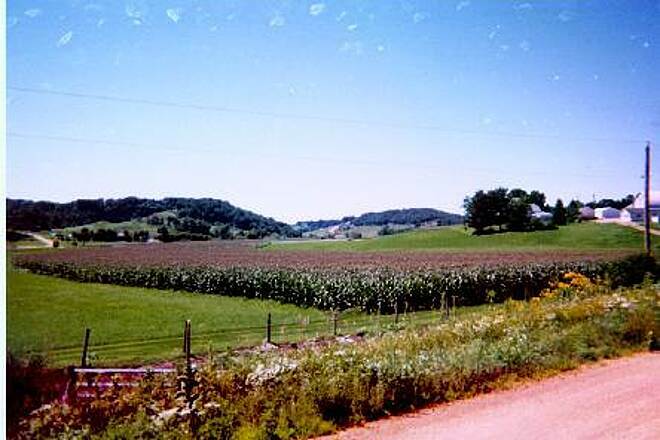 Beautiful WI countryside scenery. The preservation of history at the railroad museum in Kendall was well done. The restroom stops at Kendall and Wilton were wonderful - very well maintained. We stopped in Wilton off the trail to have lunch at a small restaurant Next time we will plan to hook up with the 400 State Trail. We road this trail from Elroy to Sparta and back. Although it was a hot (Mid 80s) and muggy day, the shade of the trail canopy made for a enjoyable ride. As we approached the tunnels, there was a blast of cool air. The walk through the tunnels provided a brief cool respite. Once in Sparta we checked out the depot and followed the advise of the Chamber of Commerce folks and headed off to Ginny's Cupboard for the best home made lunch and peach cobbler. 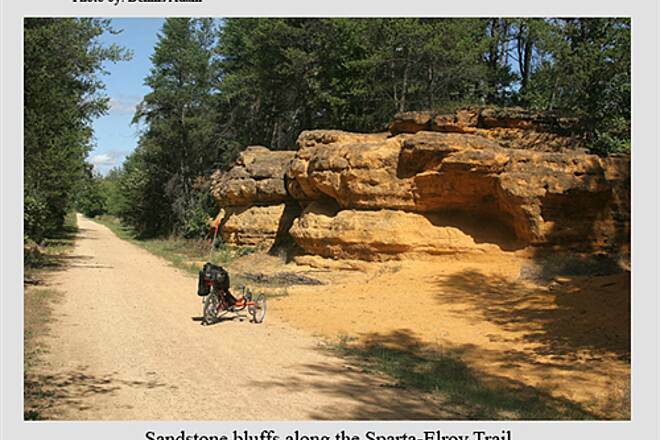 I rode this trail in August of 2008 with my Scorpion Fx trike. 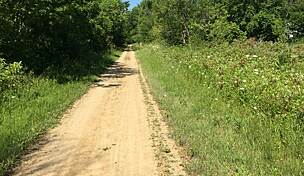 The trail surface is compacted crushed gravel, and is extremely easy to ride on, and encompasses a total distance of 32 miles. You'll find some slight gradients as you approach each tunnel, but as you exit each tunnel you'll have a downward gradient for a faster ride. 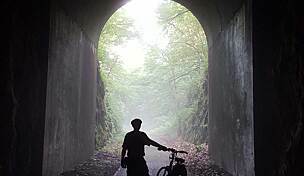 The trail meanders through mostly woods with a view of open meadows every now and then, and passes through the charming villages of Kendall, Wilton and Norwalk, but ask any biker, and he'll tell you that the highlight of the whole bike trip are the three tunnels. 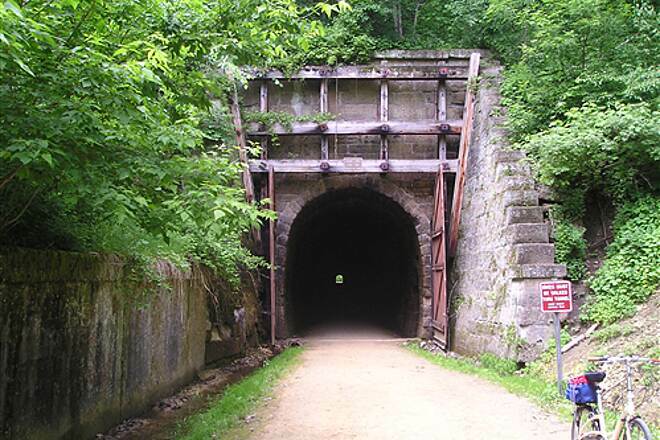 Tunnel #3, which is between Sparta and Norwalk, is the longest tunnel at 3/4 of a mile long while the other two tunnels are a mere 1/4 mile long. On a sunlit day you can see the ends of tunnel # 1 & 2, but tunnel #3 is darker than dark. You'll need to bring a flashlight along, and in order to navigate the raised trail surface to keep you from hitting the rock walls or from veering off into the drainage ditch, your required to walk your bike through each tunnel. With the trike I was able to safely ride through each tunnel at a slow pace. Be prepared to get wet in tunnel #3, the water is constantly dripping from the rock over head, and the sound of running water can be heard in the surrounding darkness as you make your way through the tunnel. 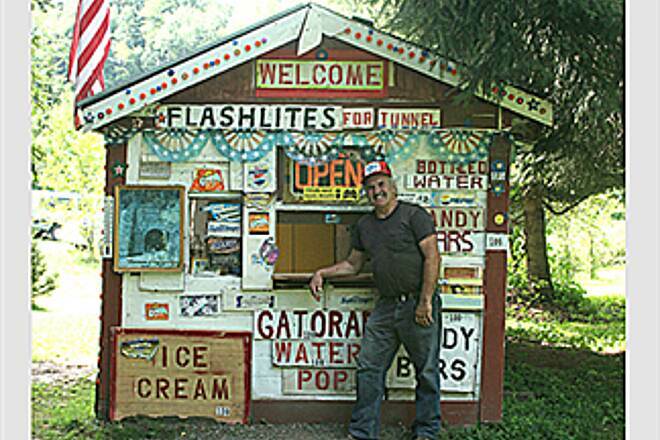 Forgot your flashlight, don't worry, you can always pick up a flashlight at Tom's flashlight and snack shack located along the trail just North of tunnel #3. I sat down and talked with Tom, and was shown some photographs that were taken back in the 50's when the railroad passed Tom's house, and how different the scenery was then compared to now. If your looking for a place to stay overnight you'll find a variety of motels, B&B's as well as a few campgrounds. 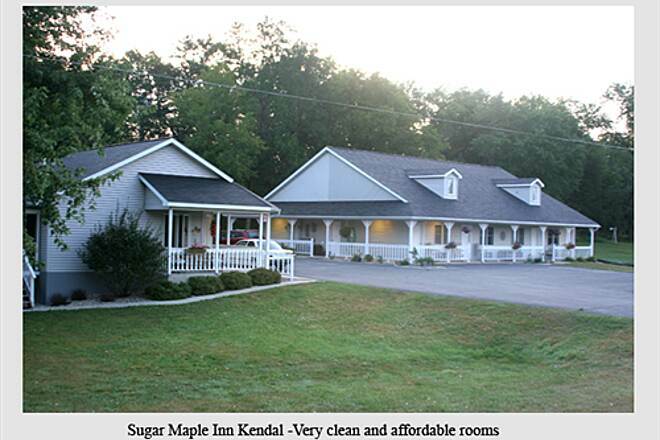 I stayed in Kendall at the Sugar Maple Inn on Hwy. 71, located right on the Sparta-Elroy Trail, the rooms are exceptionally clean and affordable,. and a continental breakfast is provided before you set out on your ride. If you prefer a full breakfast the place to go is the Dorset Valley School Restaurant on Hwy 71 just outside of Wilton. A quaint old school house converted to a restaurant with Amish attire. If your looking for lunch, be sure to stop at Gina's Pies Are Square, 400 Main Street in Wilton, for a variety of sandwiches, soups and home made pie. This trail is a must for anyone looking for a fun and enjoyable bike ride, and should be on your list of future bike trips. 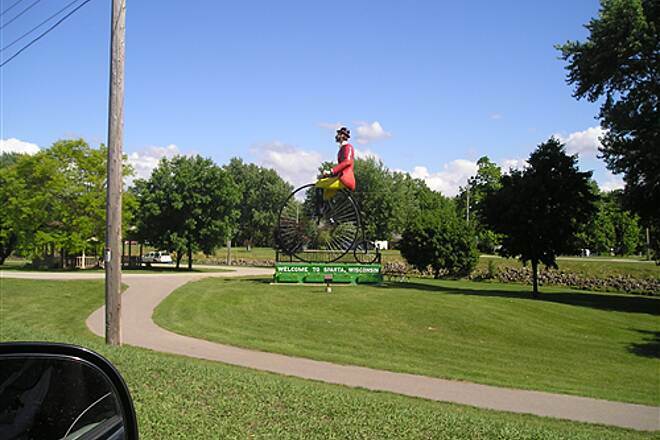 "In September 2006, my 29-year-old son and I rode from Onalaska to Reedsburg and back via several different rail trails--Great River State Trail, La Crosse River State Trail, Elroy-Sparta Trail and the 400 State Trail. We tent camped and stayed in motels. We camped in the city park in Norwalk (both coming and going), at the new Country Livin Motel in Kendrick, and at a local motel in Reedsburg. We rode in the rain the first three days and people in towns looked at us like we were crazy! The tunnels were awesome! The giant white puffball mushrooms were huge and flowers were very pretty. The townpeople in Norwalk were so helpful--we purchased a wheelbarrow of firewood to keep warm--the restrooms had hot showers (for a quarter) and heaters (helped dry our clothes)! In one area north of Reedsburg, the water was literally running across the trail. My son was riding ahead of me and he shouted, ""Just keep pedaling, Mom. Don't stop!"" I did as I was told, thinking if I stopped, I'd really get my biking shoes wet and muddy. We stayed an extra day in Reedsburg and biked back in two gloriously sunny days! 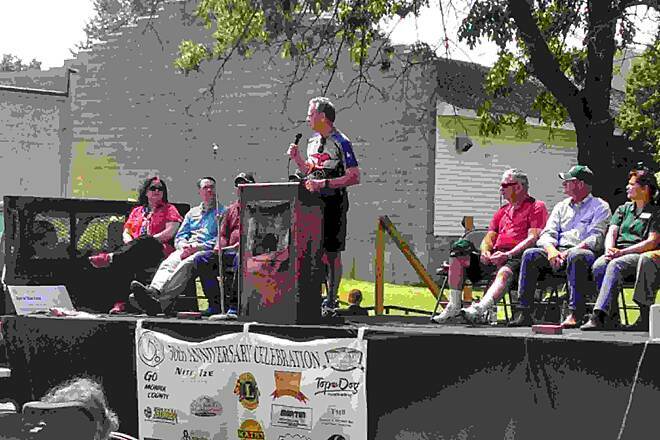 Wisconsin has wonderful bike trails and the connecting ones are awesome!" 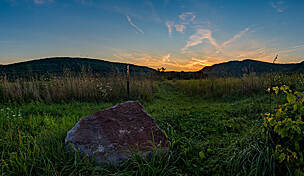 "On Aug 25,06 I finished this trail from Wilton to Elroy. A Thunderstorm had blown 3 trees down blocking the trail, but crews were quick to clean up. 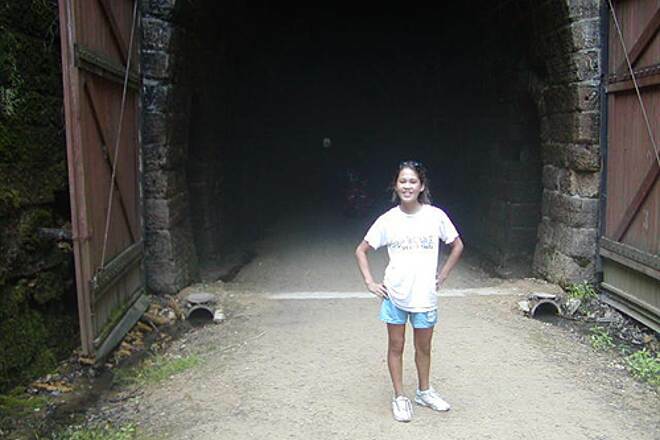 This was my first rail trail ride 4 years ago on a Tri-Cruiser from Sparta to Wilton. Thank You for a wonderful trail!" WELCOME to The Franklin Victorian B&B, a Nationally Registered Historic Property in Sparta, ""The Bicycling Capital of America"". 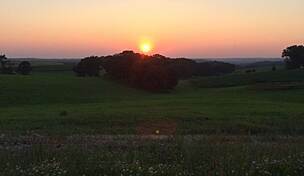 The inn is located in the heart of Wisconsin's Hidden Valleys of Southwestern Wisconsin. Our celebrated rivers, rugged hills, scenic farms, tranquil back roads, bike trails, and friendly people combine to make Sparta the ideal place to find rest and renewal. There is no shortage of Biking, Canoeing, Kayaking, Amish Settlements, Golfing, Horseback Riding, Hiking, Heritage, Fall Foliage & more to keep anyone occupied! 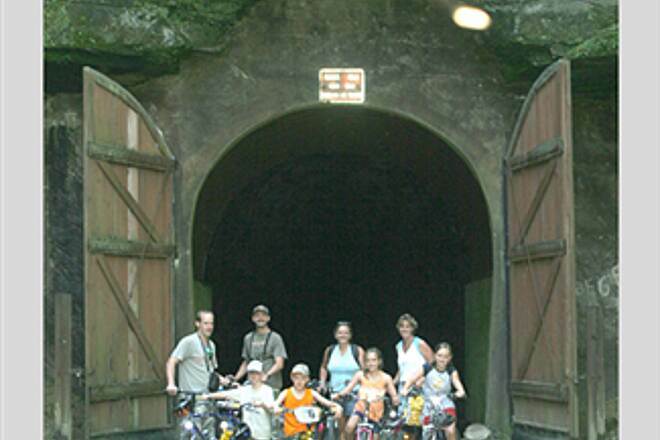 Enjoy the famous ""Elroy-Sparta Bike Trail"" & it’s with Three Tunnels and other Wisconsin bike trails. If Murder Mystery Weekends appeal to you, we host them Nov. thru April so come and find out ""who’s dun it"". ACCOMMODATIONS: Four comfortable guest rooms, all with Private baths, rooms with a Whirlpool, Massage Shower System, Fireplace, king and queen beds. Each morning you will awaken to enjoy a Full healthy breakfast. We offer inside secure bike storage & shuttle service is available. Come and stay & see for yourself why our bed & breakfast is one of Sparta's true treasures. LOCATED: 1.5 hrs. from Madison; 3 hrs. from Minneapolis & Milwaukee; 4 hrs. from Chicago. Innkeepers and owners Jennifer & Steve Dunn"
Amazing Trail! A must ride!! "If you have been contemplating riding this trail, do it! Amazing views and the tunnels are to awesome to even describe. My girlfriend and I stayed at about the mid-point of the trail at Tunnel Trail Campground. An extremely nice campground that is right along the trail. We went to one end and back one day, and the next day we went to the other end and back. About 64 miles end to end and it was completely worth it! Well kept trail with plenty of resting stops, although you still will want to bring plenty of fluids & snacks! I just did this trail on 6/23/06 and 6/24/06 and will be doing it again later in the summer/early fall. 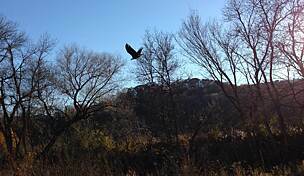 Take a look in the trail photo link. I submitted several photos of my trip." "This trail was the best. I would recommend starting Elroy and ending in Sparta so the climbs aren't so severe, but the ""blasts"" of cool air as you approach the tunnels are indiscribable!!" This trail was the best ever for me. I loved every bit. There is even a spot by Spatra that you can go to a bike shop and a spot by tunnel #3 that sells helpful things and is run by a nice guy that grew up in the area. He tells good stories about when the train was still there. 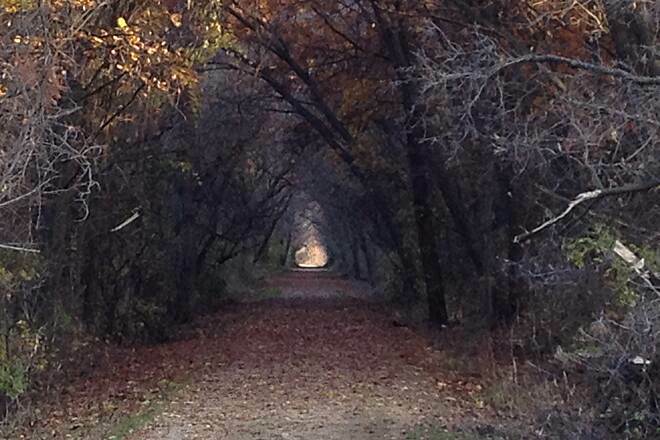 "My husband and I rode the length of this trail about a year ago. It is absolutely a must for all riders! We suffered riding 20 miles in the pouring rain but would gladly do it again. I also recommend riding from Elroy to Sparta and not from Sparta to Elroy as we did. Why you may ask? Well, the trail might seem level but it does have a 2% grade to it which is not much, however, after 20 miles your body starts to feel it. There is a short two mile respite of downhill in that direction but the other 28 miles are all slightly uphill. I guess no pain, no gain, but that tied in with the the rain . . .
"We stayed in Kendall at a little B&B style motel, which had about eight rooms. We had a good breakfast just about right on the trail in the backyard of the B&B, which was a very comfortable, new place. I can't remember the B&B's name, though. The trail and tunnels and little towns were just great. This was one of the first and is probably the best overall rail-trail. We rode from Sparta to Elroy by using a sag from Kendall. We rode two other trails from Sparta and enjoyed those also. We came from Tennessee to do this trail and we'll do it again. Go ride this now!" "My 12-year-old daughter and I enjoyed the scenery, the experience of the tunnels and conversation with the people we met. 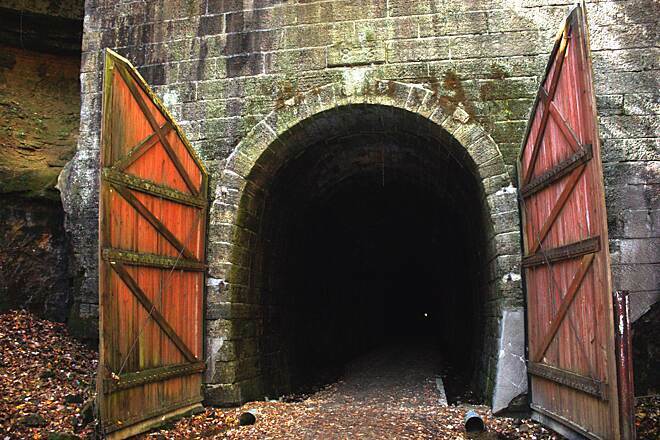 Be aware that tunnel three may be too much for children -- it's a bit long, dark and wet." 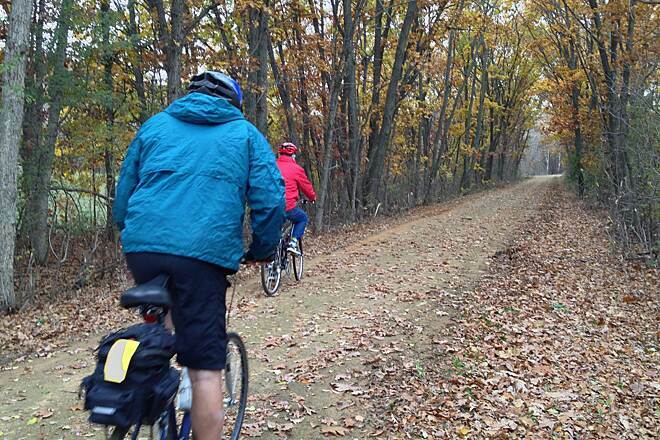 "We rode this trail starting from the DNR campground in Sparta, early in the morning, as part of our cross-state tour. It's delightful; the grades are moderate and the scenery is great. One of the nicest trails I've ridden." "This trail deserves its fine reputation. 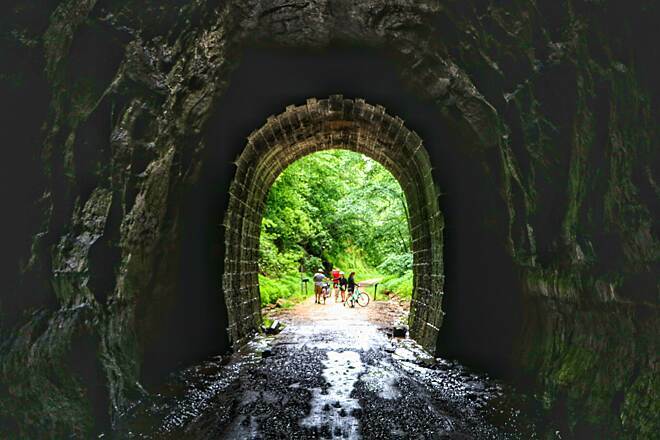 It offers a great variety of biking terrains, fascinating tunnels (be sure to bring lights), multiple bridges, and connections to other great trails. You won't get bored on this ride." "The best part of the Sparta-Elroy trail (if you go that way) is the nice steady incline that works you out but doesn't tire you out. Once you reach the long tunnel, you are ready to stretch (and walk out a few kinks). After an ice cream cone, you are ready to head back to Sparta, enjoying a steady decline! I moved away from WI 7 years ago & I still miss that ride!!" This trail is perfect for families. The scenery is great in this unglaciated part of the state. The grade managable for small children and the tunnels - with dripping water - add to the fun. There are frequent small towns which make great stops for lunch and snacks.
" Outstanding ride, especially in autumn, as the rolling hillsides surround you in color. Each of the three tunnels is a high point, both in terms of altitude and interest. You will hardly notice (visibly) the constant grade of the trail as you approach the tunnels, but as you ride out the other side you will sense the going is considerably easier (until you 'bottom out' and again start the 'climb' to the next tunnel). One should also pause to enjoy the some of the many bridges (old brochures I have promote ""33 precipitous trestles,"" though I would hardly classify any as 'precipitous'). 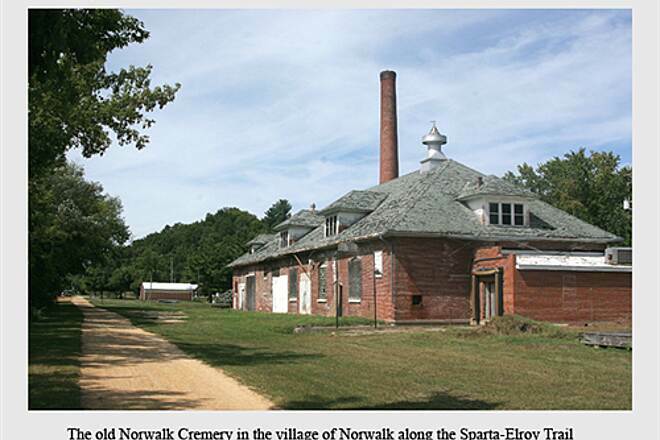 Each town along the trail (Elroy, Sparta, Norwalk, Kendall) has some amenities for bikers, while still retaining rustic rural character. 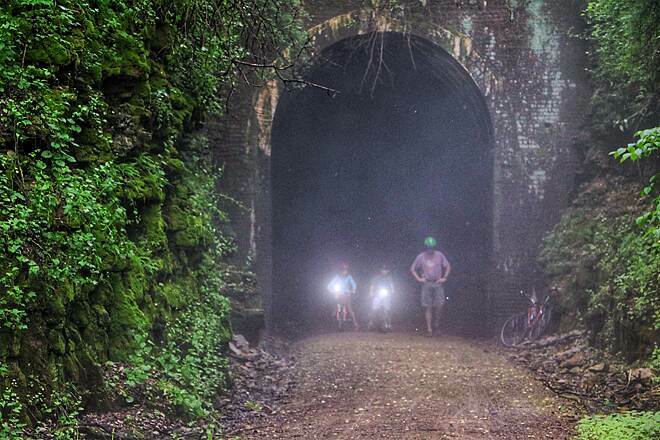 This is emphatically one ride all Rail-Trail riders should have on their list."